look at what wally wrote! look for english cars made in and around coventry! i cant because im at work, google and most other things is blocked on our net! 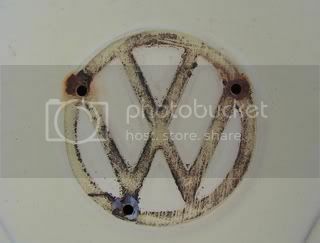 Judging by vwhobo's other pic, it's probably a very rare model. Wally also said most british motors were made in coventry. Okay ladies, you had over 48 hours on your last assignment yet failed. I swear this one is easy. Please, no help from ChrisV or Wally. Have at it. Not even close. Two of the letters are the same though. Last edited by jedimario : 09-23-2006 at 12:55 PM. You're both exactly correct... You have letters that match. Good job. Has anyone tried doing some research? Side note for jedi. I have a funny story about something that happened to me Thursday going through Rock Hill on the way to Concord. I might have to tell it this weekend. is it a Triumph TR6???? Went to the Auto Fair eh? Figured you'd be there lol, I have a thread with pics from it somewhere in general chat if you haven't seen it yet. I would have said that too, that or a TR5. However, the TR5 looks too old design wise, and the TR6 looks too large in comparison. Unless it's a US spec car or something? This is a TR6 with a louvered hood and Minilites. No, actually on business to sign some contracts. Never had a chance to go to the track, I was only in town for a few hours. Didn't even get to drive by. This is a TR5 in BRG with wire wheels. Hint for the morning. It IS NOT made in the UK or US. Man, that's a car I've wanted for a while. Some very cool engineering in there. Yep. The car it self is sort of a glorified ox cart, but the engine is fabulous. I'd love to show the rocker cover but it gives away the identity.